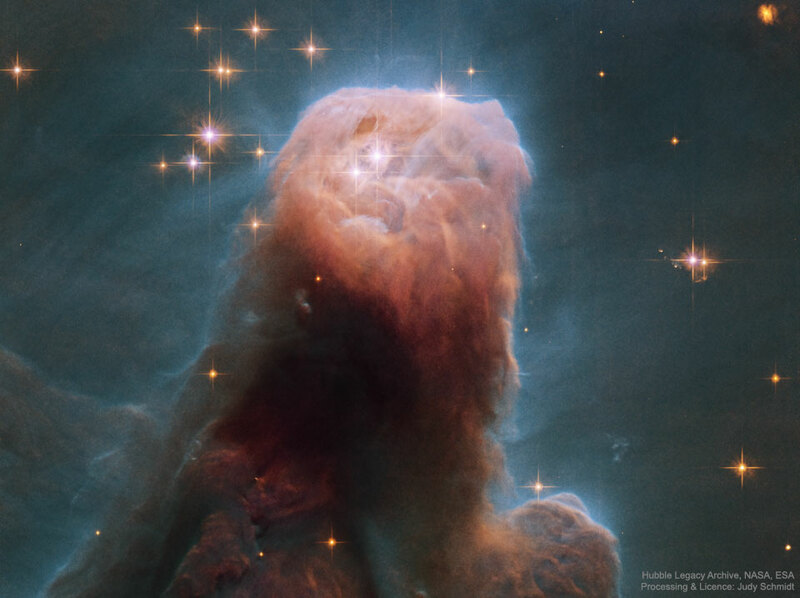 The Cone Nebula or NGC 2264 is one of the largest pillars of cosmic dust we have in our visible universe. As an area of high concentration of gas and cosmic dust is what is called a hatchery of stars, that is, a place where new stars will be born. Located in the constellation Monoceros, it is about 3000 light years away and its main composition is molecular hydrogen. It has a radius of about 7 light years. In the image you can see the areas of hot gas and even how it is, this, condensing for the birth of new stars. The nebula is visible in the northern hemisphere and mainly in winter and is located (to the naked eye) to the left of the constellation Orion (which is easy to find with the naked eye). Unfortunately, the nebula is not visible to the naked eye.